Federal employees and retirees need to protect their money in their TSP accounts, as it forms the most substantial amount of their retirement savings. However, the significant tax penalties associated with withdrawing money from your TSP account to a savings account after retirement can lead to a substantial reduction in savings. TSP-Withdrawal.com can give financial planners federal employee leads that will mean that they can provide the best possible service to provide. On the other hand, leaving your savings in a TSP account after retirement guarantees minimum growth and limited options when it comes to accessing your savings. 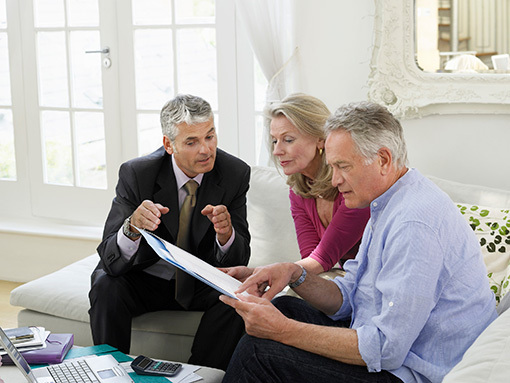 The TSP does not offer many opportunities to federal employees that are close to retirement. TSP-Withdrawal.com is an informational website where Federal employees can find resources for TSP savings and withdrawal plans. The site brings together local professionals that address all the questions associated TSP savings and withdrawal. Agents can help federal employees that are about to leave federal service take steps to maximize their post-retirement income. Federal employees can provide basic information so that TSP withdrawal experts can get in contact and share their knowledge of the best way to save for retirement and make smart financial decisions. The main objective of this platform is to help federal employees avoid the common mistakes associated with TSP withdrawals by connecting them with TSP withdrawal experts that attempt to miximize the benefits possible through TSP withdrawal. The lead generation system has a TSP calculator that can help federal employees compare alternative TSP withdrawal options with their potential TSP income. Federal employees can make confident decisions after being presented with the best TSP withdrawal options and useful information. The website does not charge customers for an initial consultation. TSP-Withdrawal.com has enlisted the services of TSP experts from across the country and work very hard to ensure that potential retirees can work with those professionals to maximize their post-retirement income. TSP experts provided with federal employee leads from compareFEGLI.com can use this information to direct federal employees to alternative TSP withdrawal platforms. Moreover, our experts respond to all the age-based TSP withdrawal questions and at the same time help federal employees to access their TSP after leaving federal service. With the presentation of more options, the customer is likely to gain more returns at minimum risk. Federal employees can receive no-obligations reports from local experts that help them to take advantage of the existing TSP withdrawal options entirely, and the financial professionals can use those federal employee leads to ensure the best possible solution. Through TSP-Withdrawal’s agents, you could potentially guarantee, depending on the strength of your annuity’s company, your lifetime income, potential growth rates on retirement savings, Flexibility, and more retirement income.